Jacksonville State University's Episcopal Campus Ministry and the Department of Learning Services are sponsoring a program on a couple's current peace building efforts in Israel/Palestine on Monday, March 12 at 3:00 p.m. in 1103A Houston Cole Library. Husband and wife team Jerry and Sis Levin will speak about their ongoing peace building efforts in Israel/Palestine. The event is free and open to the public. Jerry serves on a Christian Peacemaker Team there, and Sis is training teachers in Palestine as part of her Task Force Design for Violence Prevention Resource Center. This institute, headquartered in Birmingham, AL, coordinates "comprehensive programs for teaching alternatives to violence in the public school system." Their talk will include personal experiences as well as the political background and signs of progress in this region of conflict. Jerry and Sis are internationally known speakers on the history and current events in this volatile region. Jerry was CNN Bureau Chief in Beirut in the 1980's when he was kidnapped and held hostage for almost a year before being released unharmed. Sis Levin, originally from Mountain Brook, AL, has a doctorate in education from Columbia University and has lectured widely on the conflict in Israel/Palestine and peace building efforts there. Their talk will give listeners a first-hand account of the conflict and hope in a region that many believe holds the key to a peaceful future. The Levins� involvement in the Middle East started years ago, when Jerry was CNN Bureau Chief in Beirut and Sis was in seminary there. Jerry was kidnapped and held hostage for nearly a year, and partly as a result of that experience, converted from Judaism to Christianity. Sis went on to get a doctorate in education from Columbia. Both have written books about their experiences, and the kidnapping episode was made into a movie Held Hostage: The Sis and Jerry Levin Story starring Marlo Thomas as Sis Levin. As a former television network journalist, Jerry Levin composed a collection of essays comprising a series of periodic reports, reflections, commentaries, and analyses on the effects of violence and nonviolence in the Occupied Territories and Israel, and Iraq. 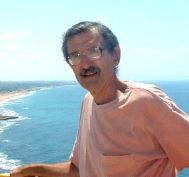 Jerry Levin's essays up until April 2005 have been compiled into a book, West Bank Diary: Middle East Violence as Reported by a Former American Hostage. Dr. Lucille Hare (Sis) Levin is founder and CEO of an educational institute currently being developed by an International Task Force Office located in Birmingham. The new initiative, a collection of the best of the best educational and scientific materials in an emerging field focused on "Violence Prevention," is being hailed for uniquely meeting a desperate need among the several academic disciplines involved in "Conflict Management." Among its important projects is the coordination of comprehensive programs for teaching alternatives to violence in the public school system. Dr. Levin has served at the University of Alabama at Birmingham as an Associate Scientist at the Injury Control Research Center and School of Public Health, and also as Adjunct Professor in the UAB and Samford Schools of Education. 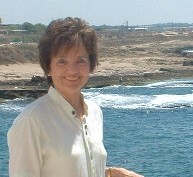 Upon returning from California as Visiting Professor of Peace Studies at Chapman University and where she had also taught workshops on "The Role of Forgiveness in Conflict Management and Reconciliation" at Pepperdine Law School, UCLA, Stanford and others, Dr. Levin accepted the invitation to act as Consultant in Bethlehem, West Bank and Jerusalem, Israel. During months on leave from the Middle East assignment, she lectures regularly at schools like Georgetown, Notre Dame, Columbia and many others nationally and internationally. In the UK she has lectured to standing ovations at the Cambridge Union Society, as well as Oxford and St. Andrews University, Scotland. The Task Force Design for the Violence Prevention Resource Center project has received endorsements which range from the Birmingham City School Superintendent to the European Teachers Association and includes prominent members of the medical community. Born in Birmingham, Alabama and educated at Randolph-Macon Women's College in Lynchburg, Virginia and the University of Alabama (both Tuscaloosa and Birmingham campuses), Sis, the mother of five children, was in Divinity School in Beirut when Jerry, serving as Cable News Network's Mideast Bureau Chief, was kidnapped and held captive in an isolated cell for eleven and one half months. She worked tirelessly for her husband's release, both at home and abroad, using educational methods as her unique tool of diplomacy. Viewing international terrorism in a larger context, which includes the need for peaceful dialogue and reconciliation, Sis has become an outspoken advocate for community involvement in nonviolent conflict management and psychosocial understanding at the global level. Her many appearances on the Today Show, Good Morning America and Network News Broadcasts have produced an informal international educational network of a growing number of lay people who realize their unique opportunity for facing the present challenge of diffusing tensions and creating world friendships. Encouraging families internationally in church, school, and medical, legal, and educational professional groups by lecturing, conducting workshops, and designing educational materials has become Sis Levin's principal occupation. She completed her doctorate at Columbia University in International Education with a concentration in Peace Studies. She serves on the boards and/or staff of the Human Rights Project, Educators Without Borders, the Save Lebanon Foundation, Pax World Service, United Nations Association, and World Peacemakers. Sis is a Woodrow Wilson Visiting Scholar (Princeton), member of the National Press Club, Junior League and Rotary International and the Episcopal Cathedral Church of the Advent in Birmingham, Alabama. She lectures with the many video cassettes she�s produced for Adult Forums internationally. She has also written teacher training material for numerous local and rural school and community classes and spoken to and taught over 1000 of these groups. Book and cassette sales have been impressive, seeming to indicate a need on the public's part for information and education on the tragic global violence as seen in the light of its relevancy to interracial communities at this pivotal moment in the history of violent conflict. From Birmingham to Bethlehem: The Victims� Victory is the title of her current seminar and book in progress.